Nourishes the structural and immune systems. 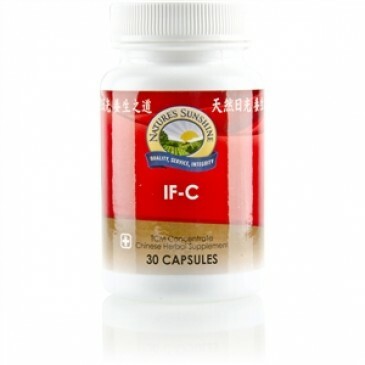 Promotes normal blood flow and thus supports the circulatory system. Helps in the normal elimination of toxic metabolic waste. May help support the body's natural process for muscle pain relief following exercise and massage. 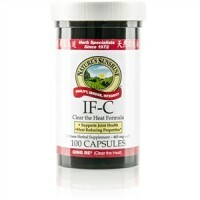 This formula contains the same herbs found in IF-C but in a highly concentrated blend. These herbs nourish the structural and immune systems by stimulating blood flow and supporting the natural elimination of toxic waste through a variety of actions. It may also promote a feeling of well-being. 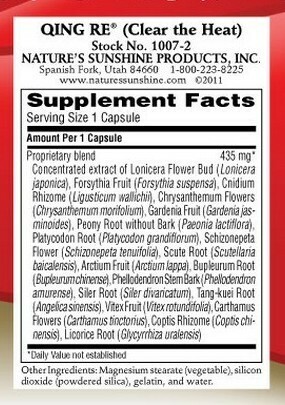 Concentrated extract of lonicera flower bud, forsythia fruit, cnidium rhizome, chrysanthemum flowers, gardenia fruit peony root without bark, platycodon root, schizonepeta flower, scute root, arctium fruit, bupleurum root, phellodendron stem bark, siler root, tang-kuei root, vitex fruit, carthamus flowers, coptis rhizome and licorice root.